Note: a while back I decided the plural of Half in a running context should be 'Halfs'. We can argue if you want but you'll have to buy me a drink first. I did not close out 2013 in a speedy place, in fact I had a personal worst then a 1-min-off personal worst for my last 2 Halfs. Coming into 2014 I had ANOTHER personal worst Half. Back in 2012 when I ran my first Half (Calgary) then followed it up with 2 PR's (Edmonton, Detroit) I didn't even have a training plan! I think a lot of bad running performance comes from my overwrought brain. I see my marathon training schedule and I feel tired. I know I have to run 32k and I feel overwhelmed. I ran too many races toward the end of last year so this year I am focusing on 2 or 3 big ones. Getting a series of personal worsts at any distance makes me feel like crap, I would rather spend more time training and less racing. I know I want to be running for a long time to come and therefore it has to be fun. It is also an activity I share with my long suffering husband which is a pretty awesome thing. Finishing a marathon, getting PR's, knowing I trained hard and did my best, seeing Kev PR (he does this a lot), leaving it all out there, runner friends, big races, small races - I enjoy those things. I f'ing LOVE those things. Plus, I'm fit, I've lost weight (and gained and lost, and right now, gained yikes), I have less periods of being down and more of being deliriously happy. Races from Calgary 2012 to Kaua'i 2013, do you love my headphones in the first pic? With this in mind, after the first big marathon goal of the year we plan to spend the entire summer doing something we both love - trail running in the Rockies. No pace goals. 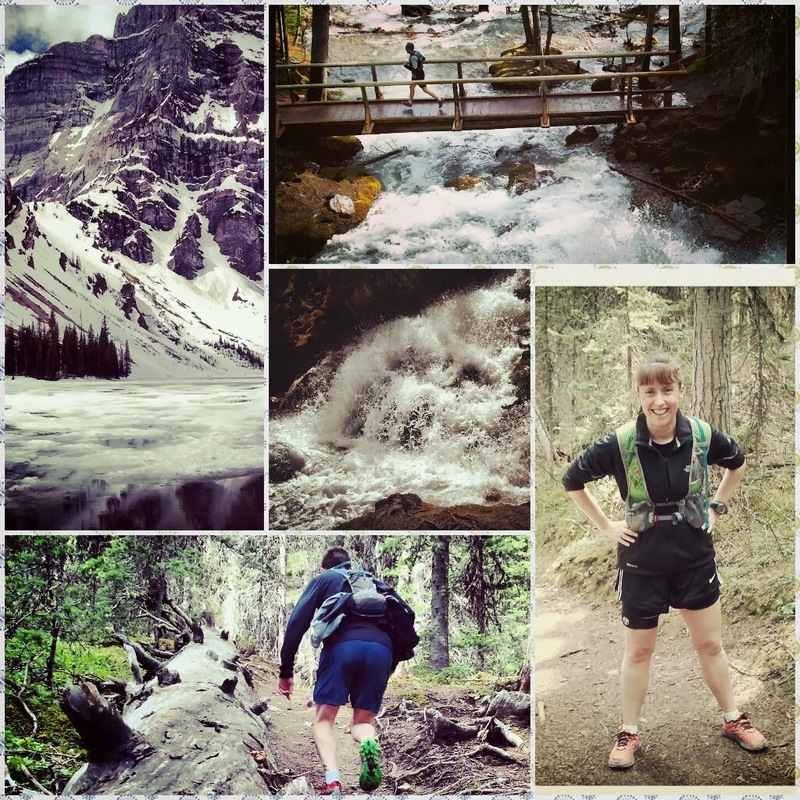 Can i come to the rockies and run too? good idea!!!! I love the photo montages! FUN!